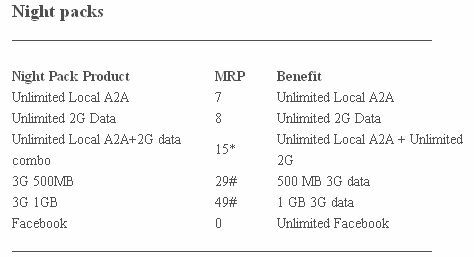 Airtel's Night Store includes plans such as unlimited local Airtel to Airtel, unlimited 2G data and unlimited Facebook access. Bharti Airtel has launched a slew of affordable plans (including voice and data), starting at Rs. 7. Branded as the Night Store, Airtel's new plans are available for prepaid users for data usage and local calling at night (between 12midnight - 6am). 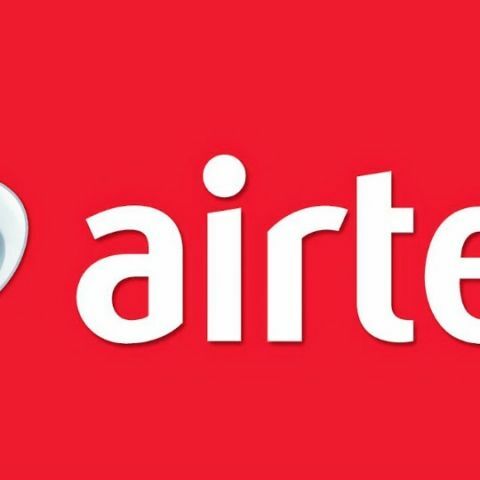 Customers can try out the new Airtel schemes - for 2G, 3G and local Airtel-to-Airtel calls – by dialing *129# or calling 129 or logging on to m.airtel.in/night. Customers can select from a bouquet offers with benefits including unlimited local A2A calling at just Rs. 7/- or unlimited internet on 2G at just Rs. 8/- and more. There's an unlimited Facebook plan as well. Night plans aren't a new concept. When the voice segment was booming, almost all the major telecom operators offered a wide array of service packs for night users that included discounted STD calls, SMS and local calling. Currently, operators are mainly focussing on the data. And that makes Airtel's new Night Store plan is quite interesting as it focusses on voice calling as well as data and social media. Moreover, it is aimed at night users, especially those who don't get to catch up with their friends or browse Internet during the day.